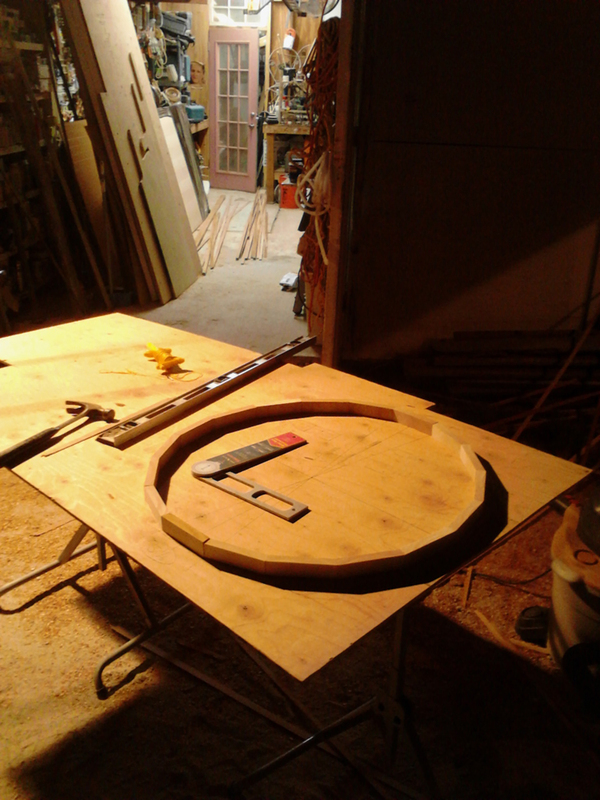 The wall that the bookshelf will be built on already has a round window. I decided to include the window shape as an element in the overall design of the bookshelf. 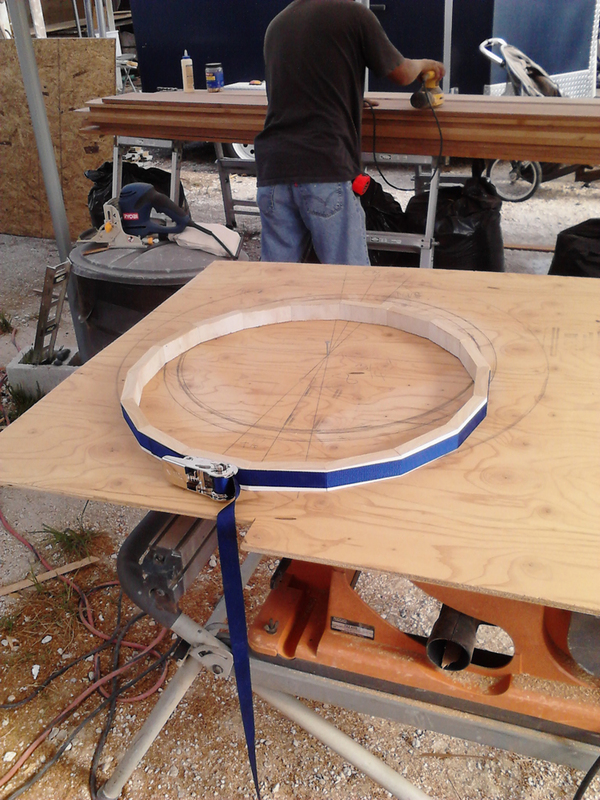 The shelves will be offset with three different sizes of circles. This design element came with its own challenges. 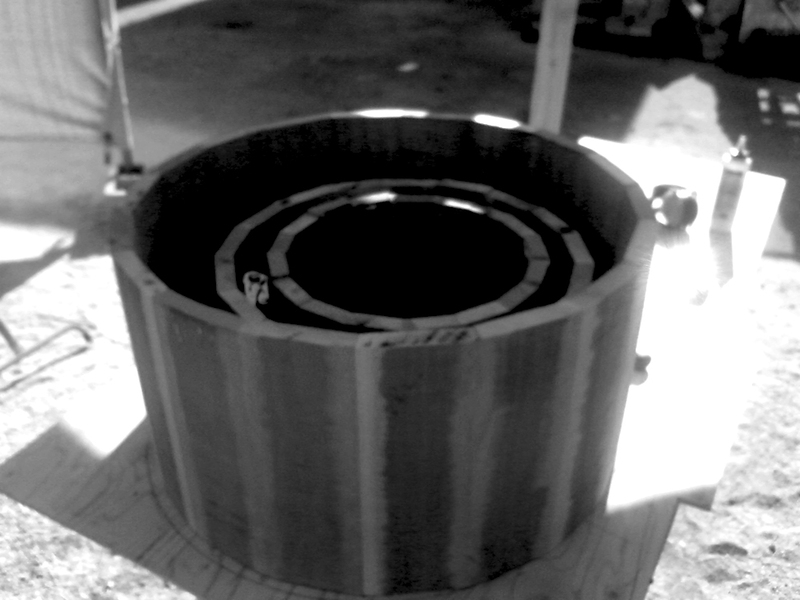 How to shape/form wood into exact precise circles. 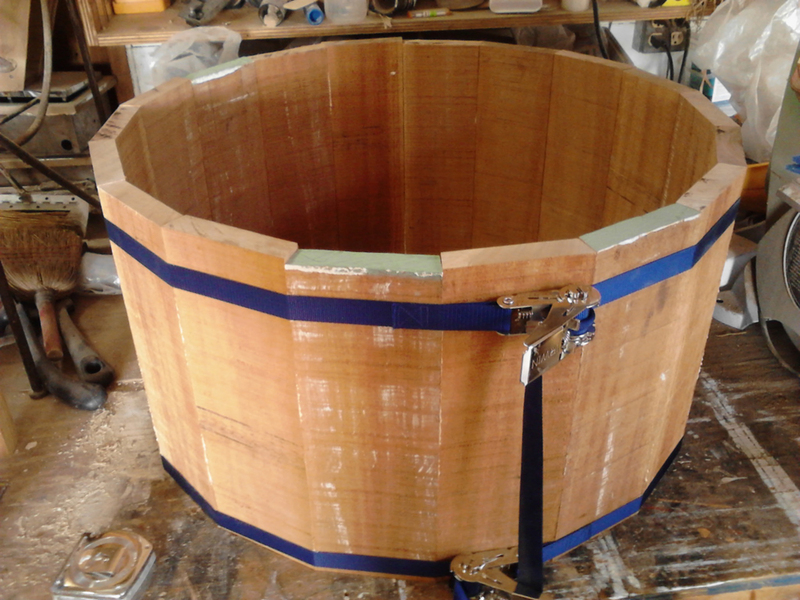 With my next post I will have the “barrels” smoothed out.